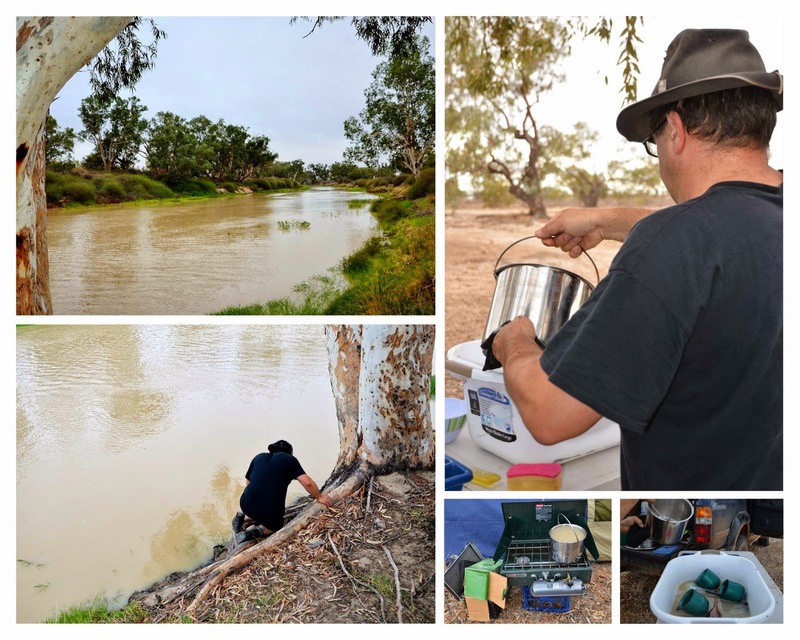 We'd packed the washing-up into Elmer overnight, so as not to tempt any dingoes. We thought it would be easier to do the dishes in daylight - and it was, though the flies were back in full force. Nick fetched some water from the creek and heated it on the dual-fuel stove. We'd brought plenty of water with us but decided to save it for drinking/cooking. 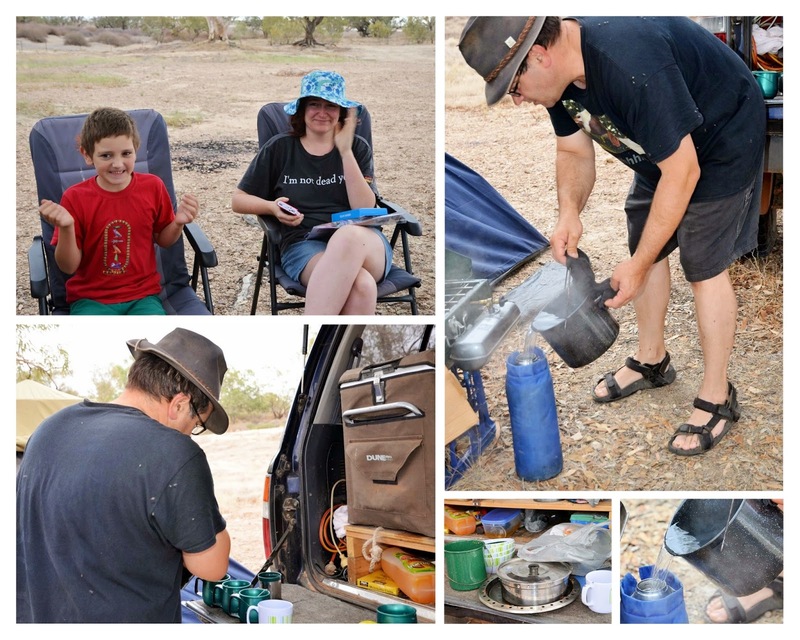 While the stove was on, clear water was boiled to fill our thermos and the leftover was enough for morning cuppas. We used some of the clean dishes for our breakfast cereal - served with real milk! Luxury!